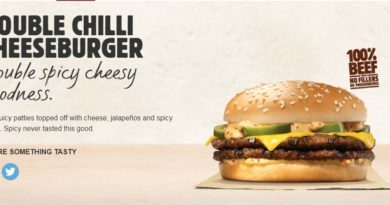 Burger King are releasing a Jalapeño Whopper!! 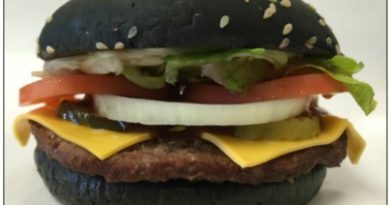 There’s a number of new limited time burgers at Burger King Canada. The Bacon & Cheese Jalapeño Whopper clocks in at 780 kcal. Up next is the Bacon Jalapeño Tendercrisp which is slightly lower at 730 kcal and the Spicy Big Fish at 540 kcal. The Spicy Big Fish is part of a limited promotion offering customers “2 for $5 Mix & Match” promotion. (2 for $6 in Atlantic Canada). 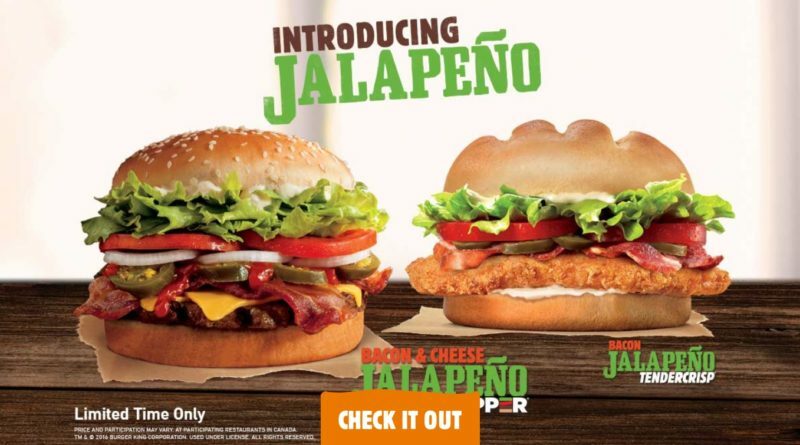 So the latest Burger King Canada promotion is very Jalapeño-oriented. 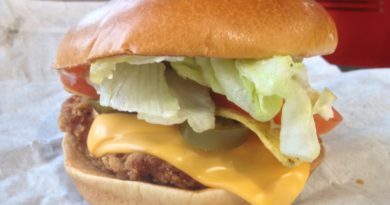 Would you like to see more spicy burgers on the BK menu in the UK?